FLEX CIRCUITS: Flex circuits are often needed to take the place of traditional PCBs (Printed Circuit Boards) because of size or geometric constraints. 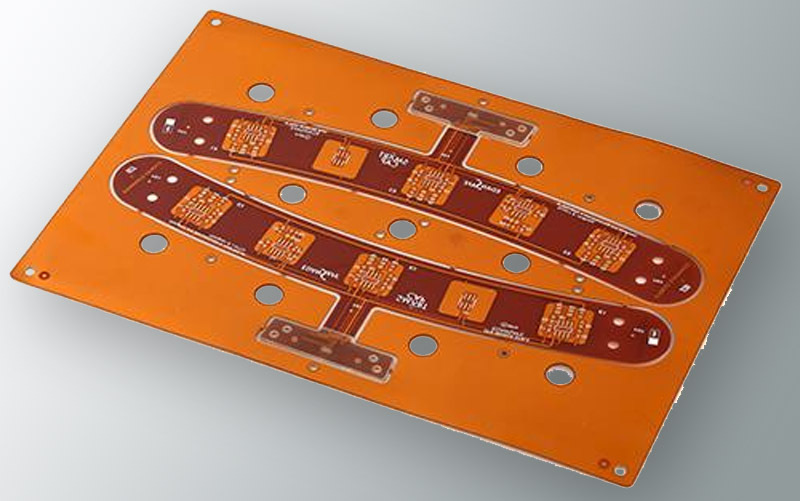 They offer the same reliability and component density as PCBs but with added flexibility and ease of installation, and superior resistance to vibration, abrasion, and flexing. Common parameters include the choice of flexible plastic substrate (such as polyimide), choice of adhesive (depending on expected operating temperatures), number of sides or layers, need for shielding, degree of flexibility required, and the number and type of traces. GOAL: Microtex has considerable experience in the design and production of flex circuits, including the use of differential traces. Since flex circuits are usually more expensive than standard PCBs, our goal is to develop the best mix of cost-effectiveness, functionality, product quality, and efficient delivery. Whether you have a specification that must be followed exactly, or you’re looking for an enhancement or completely new design, we have the expertise to create exactly what you need.